Honor is the smartphone e-brand under the Huawei Group. 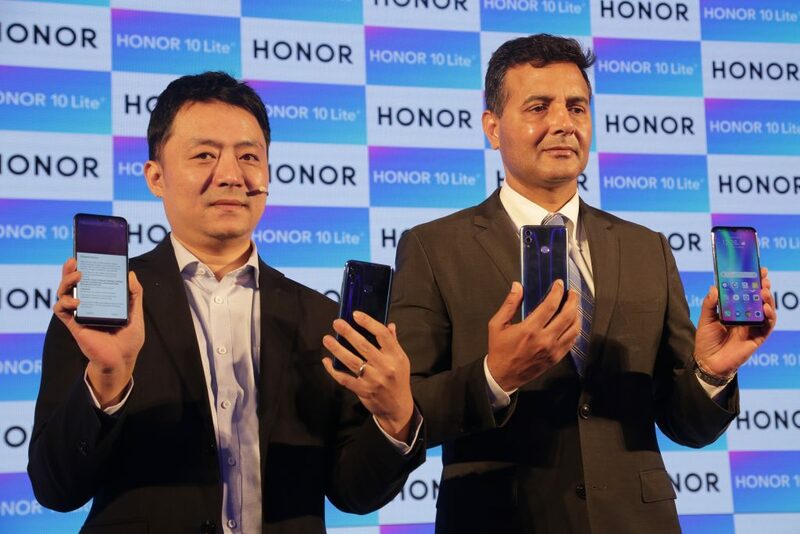 Honor India announced the Honor 10 Lite targeted at users who want a smartphone with good camera capabilities. The phone features a 6.21-inch Full HD+ screen with Dewdrop display and a 91% screen-to-body ratio. It also comes with TUV certified eye care mode to prevent your eye with any damage due to harmful blue light. In terms of hardware configuration, the phone is powered by Huawei’s Kirin 710 processor developed on the 12nm platform. The smartphone will be available in 64GB/4GB and 64GB/6GB variant. As mentioned earlier, Honor 10 Lite focuses on the camera capabilities with the 24-megapixel AI Selfie camera with AI scene detection technology on front and rear cameras. The AI camera can recognize eight different scenes (Sky, Beach, Plant, Flower, Stage, Night, Room and Snow). The front camera also features AI based facial recognition and light fusion technology aiding in shoots. There are dual rear cameras that includes a 13-megapixel primary sensor along with an f/1.8 aperture and a 2-megapixel secondary sensor. Honor 10 Lite runs on Android 9 with EMUI 9 on top and features 3400mAh battery. The Honor 10 Lite’s rear design is made from eight layers of shimmering material for a dazzling visual effect. Inspired by the lights and colors of its surroundings, the Honor 10 Lite’s vibrant gradient color choices include the newly introduced Sky Blue, which has a luminescent gradient effect that fades from light grey to blue, inspired by the natural light spectrum, as well as the classic Sapphire Blue and Midnight Black. The 4GB version is priced at Rs. 13,999 and the 6GB version will retail for Rs. 17,999.